Stephen is a highly regarded chancery, commercial and property law barrister who has practiced exclusively in civl law since he was called to the Bar. In addition to the width and depth of his experience, Stephen attaches particular importance to achieving outcomes which provide real benefit to the client. Taking into account the commercial realities involved in litigation his advice is always practical. In all cases he is committed to developing effective working relationships with both solicitors and lay clients and his regular clients note him for being always approachable and accommodating. Regarded by the Judiciary, his peers and instructing solicitors as an extremely effective advocate with a formidable attention to detail, Stephen is regularly instructed in very high value and complex matters in the Chancery Division and the specialist courts of the Queen’s Bench Division (Commercial, Mercantile, Technology & Construction) listed in both the regional High Court District Registries and in London. Stephen also appears for clients in the Court of Appeal. Shareholder’s disputes; director’s duties; appointment and removal of directors; unfair prejudice petitions and derivative actions; valuation disputes; shareholders’ agreements; limited liability partnerships. Contract disputes including building and construction. In the last 12 months or so, Stephen has the following snapshot of cases of interest. M v H – Successful recovery of damages and costs following 5-day trial in action by client against three of its sales’ consultants who set up in competition directly canvassing work from the client’s own customers. M v F – Shareholder dispute. Derivative claim brought by one director against two fellow directors alleging misfeasance. The claimant director himself recipient of funds which were the product of any so-called misfeasance. Re: S – £1.2m plus claims by liquidators against director under Insolvency Act and transferee company relating to transactions at an undervalue/wrongful trading/ breach of directors’ duties following transfers of liquidated company’s hard assets to the transferee company prior to insolvency. B v O – Acting for claimant in actions arising out of complex purchase of global satellite mobile communications business. Claims include breaches of warranties and shareholder purchase agreements. Value of claim £5m plus. P v H – Obtained injunctions against franchisees following wrongful termination and continuation of the franchsie business in their own right. W v B – Suing for payments due under franchise agreement-misrepresentation and deceit in respect of investments. C v S – Joint venture dispute-mortgaged joint venture properties-appointment of receiver-bad faith- valuation issues. N v S – Successfully, defended claim by Council for severance and pension payments based on payrise awarded to senior council officers prior to their redundancies. A v S – Contested business lease renewal at 4-day trial. B v D – Positive covenants- transmission- enforceability. W v R – Acting for managers of a large prestigious estate in connection with recovery of estate charges due under a rentcharge. 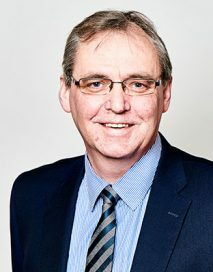 K v G – Successful at trial of disputed commercial lease renewal. K v N – Derogation from grant-commercial property let by council on long building lease-council then sell and permit housing estate next door-nuisance claims inevitable. M v H – Complex order for sale after property subjected to multiple charging orders- priorities. R v R – Multiple properties variously in sole names of ex H & W.
L v B – Devolution of company shares-company accounts-intestacy-executors duties in running the company/business. L v F – Executors in deadlock-legal representation of estate-costs claimed from estate-progressing administration of estate. notes “his advice is concise and he takes the time to explain matters to clients in plain terms”. notes Stephen as being “well known on the circuit for his excellent property litigation practice, which includes rights of way disputes and adverse possession claims. He acts for a broad range of lay clients including private individuals.” Noting that commentators note he “has a straightforward approach to complex matters and understands the technical issues.” He is also described as “”very approachable and a good fighter in court”.